The University of Wyoming Department of Music’s Faculty Recital Series opens the school year with a free public performance Friday, Sept. 2, at 7:30 p.m. in the Buchanan Center for the Performing Arts concert hall. Steven Hoffman, assistant lecturer of organ in the Department of Music, will present “A Brush with History.” The recital will feature compositions and improvisations in celebration of the 500th anniversary of the Reformation. Hoffman will perform this recital as part of the dedication of the newly restored Castle Church in Wittenberg, Germany, where reformer Martin Luther nailed his “Ninety-five Theses” Oct. 31, 1517, unknowingly starting the Reformation. Hoffman was director of music at Zion Lutheran Church in Laramie from 1993-96. 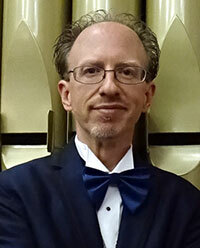 He received a Master of Music in organ performance (1997) from the University of South Dakota. He then earned a Doctor of Musical Arts in organ performance and sacred music (2000) from the University of Michigan. He returned to Laramie in 2000 to teach organ at UW and to serve as cantor at St. Andrew’s Lutheran Church and Campus Center, as well as the King of Glory Lutheran Church in Cheyenne.